Sculptra works by stimulating collagen production by your body deep within the skin. 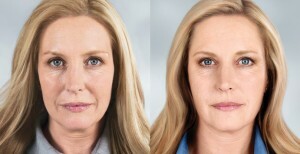 More collagen is produced creating additional volume which helps to treat facial wrinkles and folds. There are two major benefits. Firstly, the volume created by the collagen production is your own tissue so the achieved results will look very natural. Secondly, results can be very long lasting with added volume often visible for more than 2 years, significantly longer than most dermal fillers. Is Sculptra suitable for me? 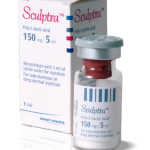 Sculptra is an excellent choice if you are affected by a loss of volume in your cheeks, temple hollows, chin or nasolabial lines. If you are only suffering from the early stages of volume loss a single treatment may be sufficient. For greater volume loss a course of up to three treatments over several months may be required to achieve optimum results. For more information or to book a consultation please call 0151 722 6070.